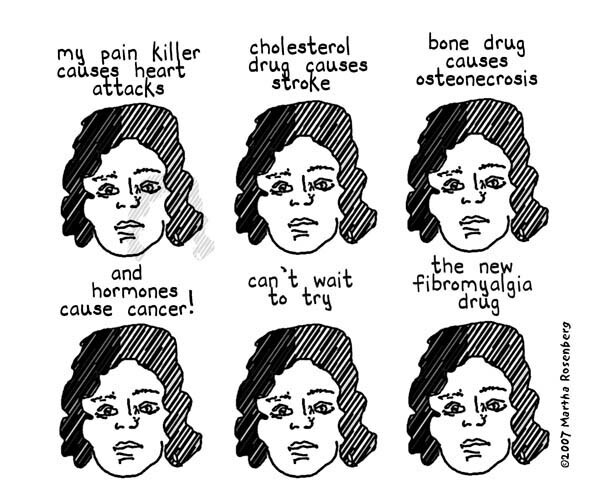 As early as 2004, Merck knew its blockbuster osteoporosis drug Fosamax was causing osteonecrosis of the jaw (ONJ) after in-office dental procedures and ridiculed afflicted patients. The condition, also called jawbone death, occurs when traumatized tissue doesn’t heal but becomes “necrotic” and dies. “Ma toot hurts so bad” mimicked Merck bone scientist Don Kimmel in a 2004 email to Merck health science consultant Sharon Scurato about the type of patient who was developing ONJ. Such a patient “could be an oral hog,” wrote Kimmel, then a bone scientist in Merck’s department of Molecular Endocrinology/Bone Biology and trained as a dentist–someone with pre-existing infections and periodontal disease who omits preventative care. Newly available emails and internal Merck documents reveal the company was far from concerned or surprised when ONJ-links to Fosamax surfaced in the early 2000’s and launched elaborate spin campaigns to keep the $3 billion a year pill afloat. In fact, animal studies revealed ONJ in rats given bisphosphonates (the class of drugs Fosamax belongs to) as early as 1977 Kimmel admitted under oath in 2008. Thousands of lawsuits have been filed on behalf of patients who say they developed ONJ after dental procedures like tooth extraction because they took Fosamax. Treating ONJ is almost impossible said dentists and oral surgeons quoted by the Review-Journal in 2005, because “further surgery in an effort to correct the problem only exacerbates it, leaving the patient with even more exposed bone and even more disﬁgured,” Jaw removal, bone grafts, and even tracheostomies were reported by the News-Press in 2006. “Even short-term oral use of alendronate [Fosamax] led to ONJ in a subset of patients after certain dental procedures were performed,” read a study in the Journal of the American Dental Association in 2009. Besides attributing ONJ to patients’ bad oral hygiene and, tautologically, their advanced years, Merck withheld crucial safety data from the American Society for Bone and Mineral Research (ASBMR) when the group sought to develop a position paper on bisphosphonate-related ONJ. Of 428 suspected ONJ cases related to Fosamax, 378 of which were highly likely to be ONJ, only 50 cases were shared with ASBMR, according to court documents. “I see the 50 with regard to the postmarketing,” admitted Thomas Bold, Merck’s director of clinical risk management and safety surveillance in 2009, upon viewing the slides Merck provided to ASBMR. “I don’t see 378 mentioned and I don’t know why that is the case,” he conceded. This article was posted on Friday, December 7th, 2012 at 8:00am and is filed under Disinformation, Health/Medical, Life/Animal Rights, Pharmaceuticals.